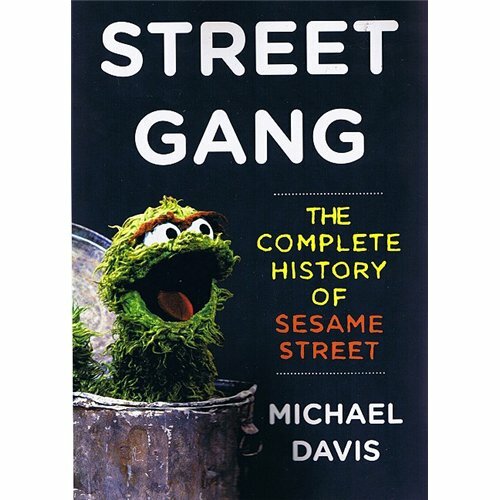 This fantastic book covers the “complete” history of Sesame Street on PBS. There are really great insights on the creation of the show as well as the Children’s Television Workshop. If you grew up watching the show you’ll especially enjoy reading about the cast and creation of the characters…. What else is everybody reading? I am reading a lot of Walt Whitman this spring and into the summer in preparation for several projects we have going with The Artful Conspirators, including an outreach piece all about Whitman’s life and works right here in Brooklyn. “Specimen Days”, by Whitman, is phenomenal. And I am intensely fascinated and inspired by “The Better Angel: Walt Whitman in the Civil War” by Roy Morris, Jr. I am using the latter as a great source of knowledge and as an imagination springboard for another play, “The Second Pipe of Desire” (for adults). And also, I can’t wait to read Street Gang! I am reading a lot of Walt Whitman in preparation for summer projects with The Artful Conspirators, including a piece about the poet and former Brooklyn resident. I am especially loving Whitman’s Specimen Days and the book The Better Angel: Walt Whitman in The Civil War by Roy Morris, Jr.
I’ve read the book and it’s quite amazing. Everyone should read it!! !